Coqui Selection, Bellavoid, Return Of The Jaded, DJ SKT, Paul Sherriff and more. 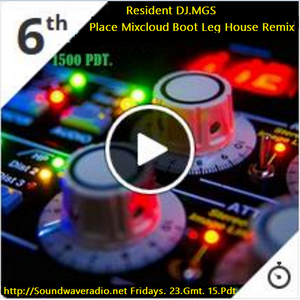 My Latest House Electronica Mix from my Live Broadcast from SWR.Aug.28.2015.House.Vol.20 "Welcome.2.Mi.Pad"
By DJ.MGS. and Enjoy the "Groove Train". Please Support me by Adding and Favoring and share. Hi Everyone, #6th Boot Leg Remox woo hooo!!! What can I say... I did not Expect this Mix to make it to a to a number 10 Chart, Wow, This has really moved me, Thank you fans, and listeners alike for your encouragement and for your continued support in the mixes.